Owning an older home always comes with an added layer of responsibility and often a lot more work. However, the reward can be immeasurable when it comes to keeping traditions alive and preserving the history of your space. Christmas time always brings nostalgia, and there's just something about old homes and holiday decorations that feels magical. Allison Smith Design operates out of an office in the daylight basement of a turquoise Victorian home built in SW Portland in 1892. Known as the Laura Foulkes House, the home is one of three similarly designed homes originally owned by the Foulkes family. These houses are part of a small group of Victorians built in the Lair Hill neighborhood at a time when Portland was on the fast track to becoming a small town--the population quadrupled from 1880 to 1900. As the childhood home of Edward Foulkes, the architect responsible for Portland's historic Pittock Mansion, we like to think that this historic home has been inspiring classic design for over 100 years. Side note: The Pittock Mansion is gorgeous at Christmastime. The 16,000 square foot Pittock Mansion sits in the west hills at almost 1,000 feet above downtown Portland and has been a holiday season destination for over 50 years. 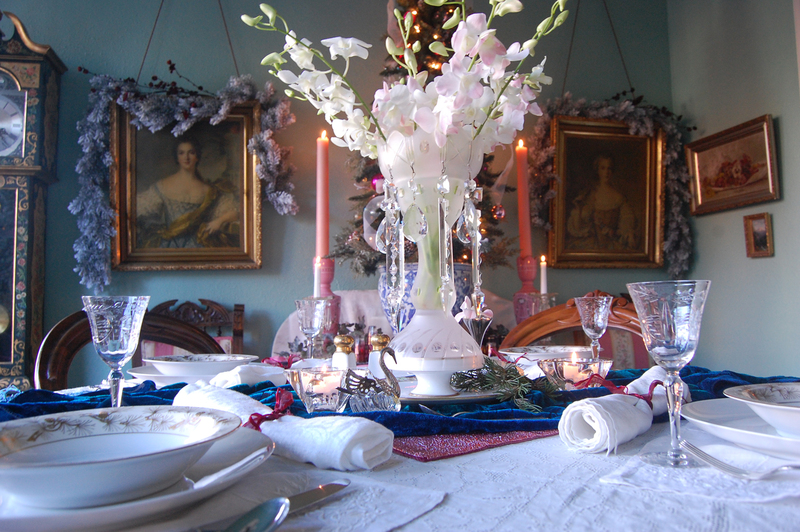 With an eclectic mix of French Renaissance, Turkish, and Edwardian styles, each room is given it's own unique theme for Christmas decorations. 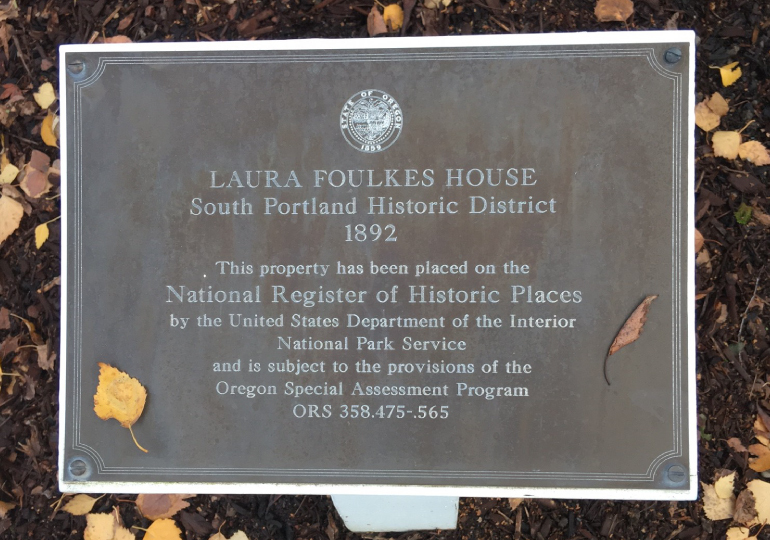 Through the 1970's and '80's, the Laura Foulkes House was a rental and didn't receive the care and upkeep it deserved. By 1998, when the Smiths took over, things were finally looking up for this Victorian beauty. 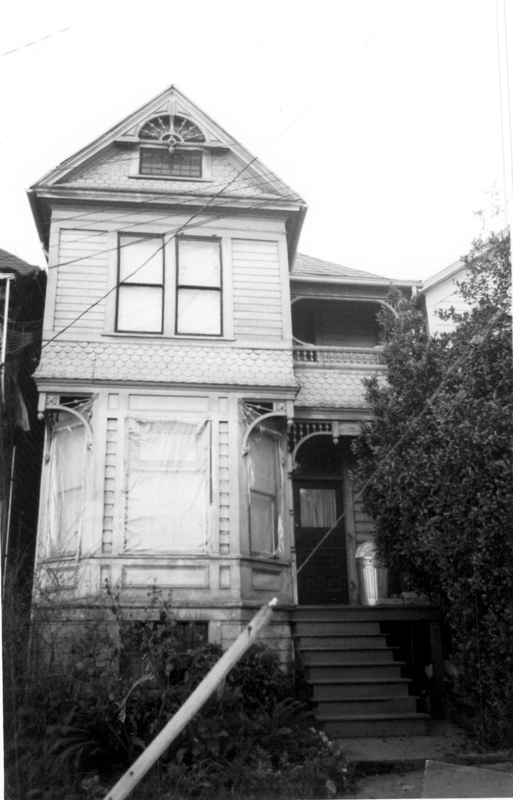 The architecture of the home is considered to be Stick-Eastlake–an American mash-up of Carpenter Gothic and Queen Anne that lives under the umbrella of “Victorian”. Ornate woodwork, a second story balcony, spindles, decorative shingles, and narrow horizontal siding, all come together in a sort-of baroque culmination of craftsmanship. To own a home like this, you have to REALLY love painting intricate pieces. By researching the history of this home, we now have a jumping off point that provides theme colors, fabric styles, finishes, and accents. 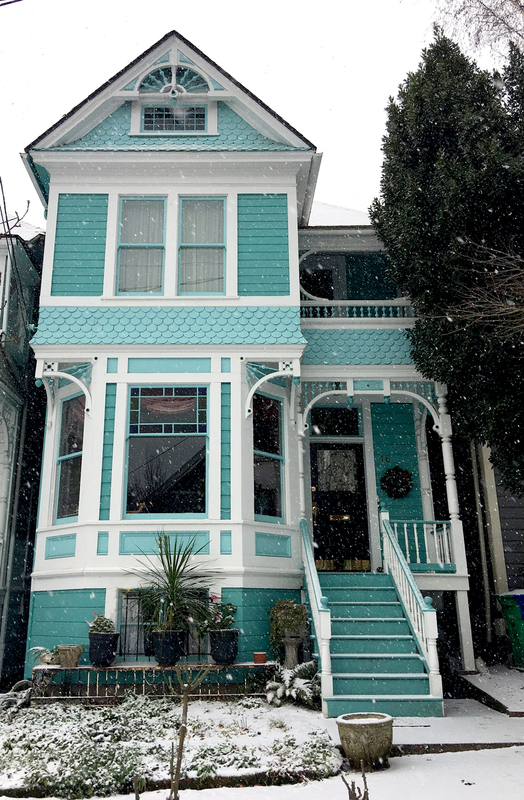 Luckily for us, the Victorian era is one that still resonates--even paint companies have entire lines dedicated to authentic Victorian colors. 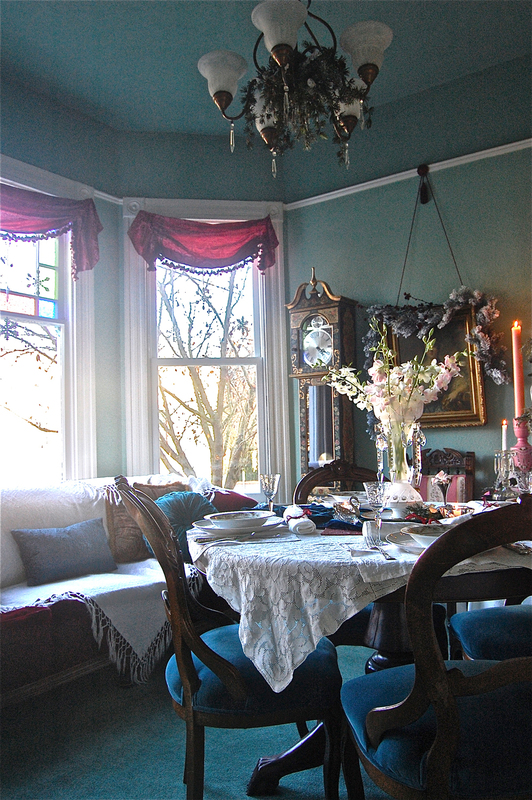 Our goal is to emulate a turn-of-the-century Christmas brunch. Rich, contrasting colors, plush and silky fabrics, and soft, lacy details were hallmarks of Queen Victoria. Coincidentally, greens and reds were a common pairing for this era, making it a perfect fit for Christmas. We already have rich blue-green walls and pink accents. Adding in maroon throw pillows and window treatments pumps up the holiday vibe. Lace and velvet might not work for a modern interior, but for our purposes these fabrics create the perfect vintage backdrop. 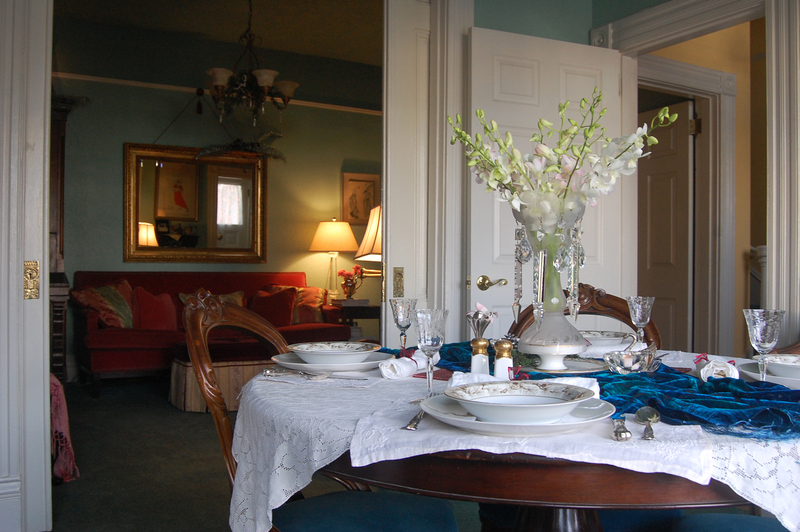 Our table is set with antique dishes featuring a metallic gold pine needle design, a crystal vase that resembles a chandelier, and rolled white napkins tied with red ribbon. In spite of being historically reserved for the well-to-do, crystal, china, and silver are actually quite inexpensive--especially when matching is not your first priority. Finding antiques that reflect this style is relatively easy in Portland; antique stores, estate sales, and flea markets abound--Grand Marketplace is a great place to start. A bit of miss-matching will make your decor feel less stuffy, and more Portland. Our faux tree is the perfect size for a buffet table and provides just the right amount of Christmas cheer. Using a ceramic pot in place of a tree stand means we can skip the tree skirt all together. This trick would also allow a person to use a living tree--a great option for eco-conscious Portlanders. 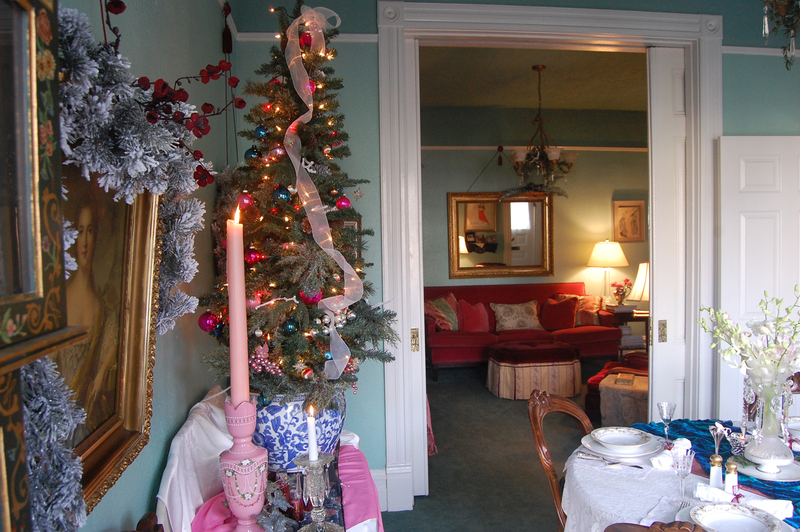 We opted for white lights, ribbon, and ornaments that reflect our theme colors: magenta, maroon, blue, and green. Check out the final design below.